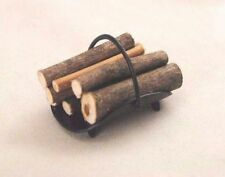 Well designed and crafted for your 1/12 scale doll house Delicate and exquisite with detailed metal firewood rack Simple lines, generous shape, simple but yet elegant Makes your dollhouse come alive with this firewood Size (L x W x H): Approx. 3.2 x 2.8 x 1. The white fireplace shown in the first photo is not included; only the screen. Of course you could also use it as a self-standing peacock miniature. Fireplace is a cast resin that can be left as is or painted. Applicable for: 1:12 dollhouse. Keep it dry and cool, avoid sunning. Material:Wood. 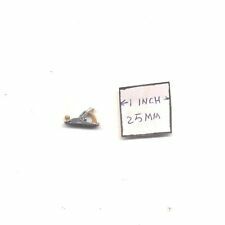 DOLLHOUSE MINIATURE FIREPLACE. Including: 1 fireplace. 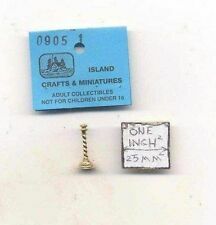 Applicable for: Furniture for 1/12 dollhouse. 5~9 20% off at least. Over 10 30% off at least. Your kind understanding will be very appreciated! Dollys Gallery. Dollhouse Miniature Fireplace. This has a Walnut finish with logs on the inside. These highly detailed andirons will enhance any miniature scene. From Falcon Miniatures collection of detailed dollhouse miniatures. 1in to 1ft. 1:12 Scale. This is sized for a dollhouse. 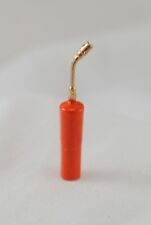 It's ready for your dollhouse or diorama. Made of white PLA. I can print almost any color.just ask. This item is sold unpainted. This way you can add your own touch to your piece. This item is designed for 1/10 – 1/12 scale. 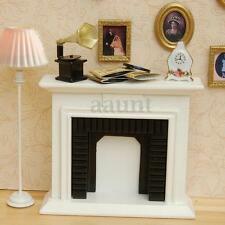 Add architectural detail to your miniature fireplace. Made of black resin. Stack of real wood. 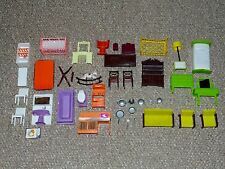 A great variety of dollhouse miniatures. THIS COLLECTOR'S ITEM IS A SCALE MINIATURE NOT INTENDED FOR USE BY CHILDREN UNDER 14 YEARS OF AGE. SMALL PARTS MAY BE A CHOKING HAZARD. make Supersized seem small. 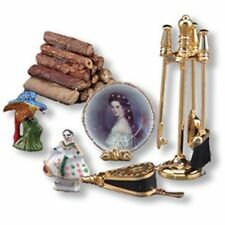 A great variety of dollhouse miniatures. THIS COLLECTOR'S ITEM IS A SCALE MINIATURE NOT INTENDED FOR USE BY CHILDREN UNDER 14 YEARS OF AGE. SMALL PARTS MAY BE A CHOKING HAZARD. very attractive brass box. It is in gently used condition. This is a modern elegant bathtub is ready for your dollhouse or diorama. Made of white PLA. They are printed at 200 microns resolution which is very detailed. This item is sold unpainted. This way you can add your own touch to your piece. You are buying the STONE unit only. 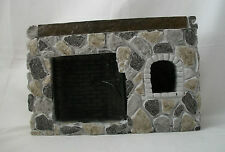 This is a highly detailed Fireplace ready for your diorama or dollhouse. Made of white PLA. 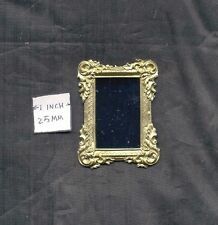 This item is sold unpainted. This way you can add your own touch to your piece. 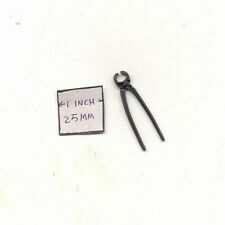 This item is designed for 1/48 scale. DOLLHOUSE "FIREPLACE WIRED FOR ELECTRIC"
THIS IS A DOLLHOUSE FIREPLACE THAT IS MADE TO BE ELECTRIC. IT IS WIRED SO THAT IT CAN BE MADE TO GLOW. 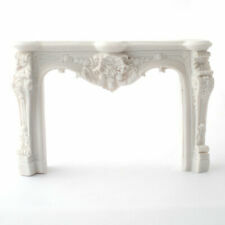 IT IS MADE OF A CREAM PLASTIC THAT LOOKS LIKE A MARBLE FIREPLACE. IT HAS A RED BRICK INSIDE WITH BLACK TRIM SURROUNDING THE BRICK. It looks amazingly realistic as tiny details are thoroughly thought and made exactly as the original ones. It has a middle difficulty level of assembling, so kids will need parents’ help. Undoubtedly, adults will be happy to give a hand with this task. The sleek and modern lines of the Lamone Grey freestanding bathtub will be a showpiece for your dollhouse or diorama. They are printed at 200 microns resolution which is very detailed. This item is sold unpainted. Adorable little doll sized fireplace made of wood and painted. Old but sweet. Fireplace starter piece! 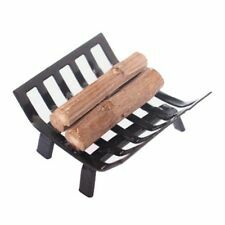 Design your own fireplace using this starter piece. After searching out the best for over 30 years I must down-size my collection to fit into a much smaller space. This can be a pleasant way of getting to know the piece and make it your own. At the upper left are several views of this item. Small Victorian Fireplace. unfinished - plaster / resin. One unfinished Fireplace. Fine detail and nice proportions. This is a Fireplace that was designed and handcrafted by Artist Jim Coates.It is cast in a hard resin.The detail is very sharp and crisp.All of my castings are very smooth and clean.It is finished in a soft white. It is app. This is a highly detailed Bathtub ready for your dollhouse. Made of white PLA. Ask for other colors. This item is sold unpainted. This way you can add your own touch to your piece. 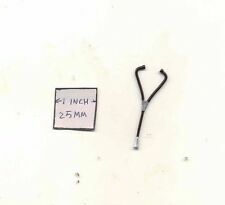 This item is designed for 1/12 scale. 4 1/2" tall and 5 3/8" wide. Dollhouse Fireplace. CARVED FIREPLACE. Dollhouse Miniature. This is a Fireplace that was designed and Handcrafted by Artist Jim Coates.It is cast in a hard resin.The detail is very sharp and crisp.It is finished in a soft white.The top is Hand painted White Marble with black and gray veining.This piece is app. These small fireplaces where used in Victorian bedrooms or smaller rooms of the house. You can use this fireplace as is or build an elaborate wood outlay around it. Fireplace is a cast resin made to look like cast iron. This is a modern Farmhouse style Kitchen Sink (Single Bowl) is ready for your dollhouse or diorama. Made of white PLA. (Custom colors available.). This item is sold unpainted. This item is designed for 1/12 scale. Dollys Gallery. Made by Reutter Porcelain. Dollhouse Miniature Fireplace. Dollhouse Miniature Cast Fireplace Mantle OOAK Folk Art Handpainted Lawbre Co.